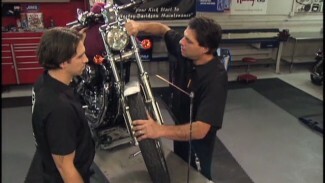 Bob teaches his simple technique for easy access to the Softail and Dyna rear brake to service the brake pads and caliper, as well as how to replace them afterwards. 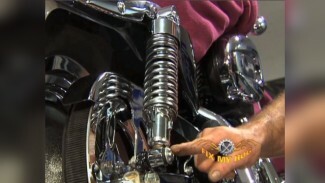 He stresses the importance of only using brake cleaner on each of these parts. 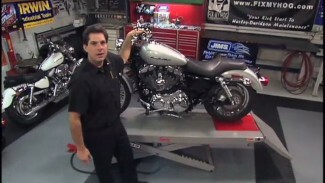 Then he shows you how to check the level and condition of brake fluid in the rear master cylinder.